I am the oldest of four children. For years, I had my parents’ undivided attention. As all oldest probably feel, with every kid after you, it becomes less and less about you. For me, not only was the youngest child the fourth one, but she was born with special needs. I was fittingly called to her care. My youngest sister, Mary, is incredibly emotionally intelligent, intuitive in the extreme, joyful almost always, but severely intellectually disabled. 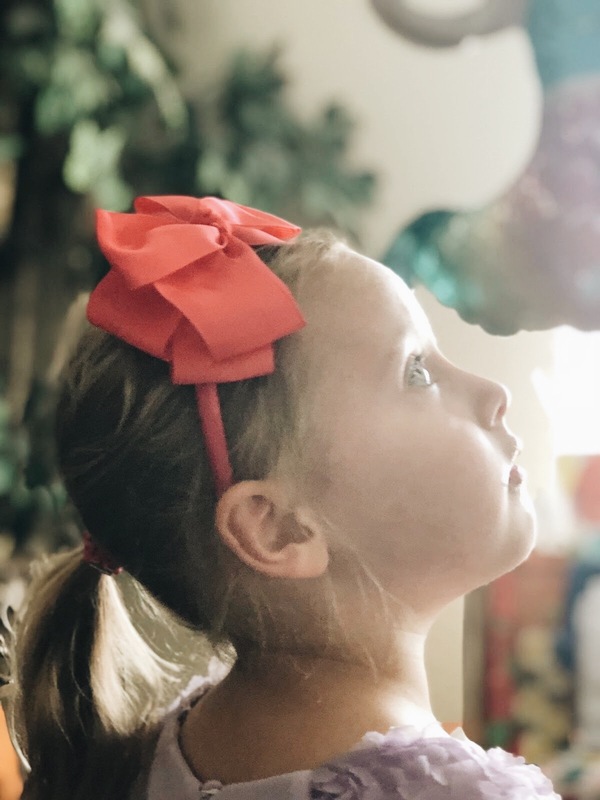 This six-year-old, who can catch your eye based on a nuanced inside joke, often cannot remember her siblings’ names or count to three consistently. Mary is special, and she has special needs. While Mary loves our family, she has chosen, for some mysterious reason, to lay her particular affections on me! She calls for me often, sits with me when I sit down, walks alongside me, and leans on me for much of her emotional and physical stability. Due to this unique connection, I have often been called upon over the past five years to invest a lot of time and energy into the care of my little sister. While I dearly love her and have certainly experienced moments of transcendent joy and connection, to say that this particular relationship has been one of ease would be inaccurate. In fact, taking this kind of initiative has been substantial work and has called me to say no to myself, my desires, and my preferences in order to care for her and her particular needs. It was in the midst of one of these seasons of questioning that my dad and I went out for sushi. We were talking about something totally unrelated when he brought up Matthew 25:40. Upon hearing it, I realized that all the time I had invested has not been ultimately serving my sister; it has been serving the Lord Jesus. And according to the Scriptures, those actions have eternal reward and impact. Not only did I realize that it was Jesus who I was truly investing in, but also I learned a more important lesson: God has been teaching me how to view the world as He does, by looking for the “least of these” through each season of my life and to serve them as representations of Christ. He is urging me to adopt the mind, the character, and the perspective of Himself, who was a servant to the “least of these.” Having this servant-hearted aspect of Jesus’ character is a small form of repentance for the lavish love that he has heaped upon us. Mary has been my opportunity to serve Him. Most of my generation, and really all teenagers, face the temptation to be self-focused. However, even though this proclivity is natural, as Christian teenagers, we know that in reality, we should not be focused on ourselves. Selfishness can be woven into our lives without us knowing it. When I was called by the Lord to focus on someone else in order to serve him, it required me to be uncomfortable. It is the things that are so purely selfless that show us how selfish we actually are. People with special needs are a wonderful opportunity to learn to be selfless like Jesus, with no room for vanity or fleeting, temporary preferences. Mary has taught me what serving Jesus really means.